My hour-long program-within-a-program Catch of the Day presents tracks from new and imminent audio releases in many genres, with off-the-cuff intros plus on-the-spot evaluations. We air at 12:00 noon Hawaiian-Aleutian Standard Time under the umbrella of The Alpha and Omega Show, hosted by the redoubtable Paul Janes-Brown, actor, critic, and chorister. Officially, we compare notes for 60 minutes, but overtime is always a possibility. ﻿Please join us on Mana'o Radio 91.7 FM, Maui's leading noncommercial, 100%-listener-supported, 100%-volunteer-staff broadcaster, or live on the web at manaoradio.com. Why flog a dead horse? I used to come into the studio with a secret playlist and stick to it religiously. (After all, we air on Sunday.) As recent experience has taught me, that strategy can backfire. And so, from now on, nonstarters get the hook. Catch as catch can! Catch and release! First out of the gate: the rising Italian pianist Luca Buratto, poetic yet never precious in the fragrant miniature "Blumenstück in D flat major," op. 19, from his Robert Schumann recital (Hyperion CDA 68186). If Schumann's writing challenges the fingers, mechanical dexterity as such is never the point: what counts is the play of moods and ideas. Buratto's program opens with the sprawling fresco "Humoreske," which does not lend itself to sampling. Nor, honestly, does "Davidsbündlertänze," his finale, but we dropped in on it anyway, for the consecutive movements marked "Frisch" (Fresh) and "Lebhaft." Late in his unparalleled career, the choreographer George Balanchine fashioned this sweeping, kaleidoscopic rhapsody into a Gothic meditation on the composer's angels and demons--as it happens, the first of our swift encores was set as a solo for Suzanne Farrell, supreme among Balanchine's muses. To me, Buratto's bold, noble pianism here brought back Farrell's every imperious gesture. 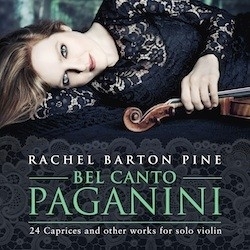 Rachel Barton Pine was up next, with a curiosity from her new double album Bel Canto Paganini (Avie AV2374). In this context, of course, virtuosity is all in all: the more credulous of Paganini's contemporaries believed he gained his fiddling skills at the price of his soul. Taking a leap of faith, we plumped for Introduction, Theme and Variations on "God Defend New Zealand." Only after signing off did I discover the origins of this party piece: though conceived very much in the spirit of Paganini, it is Barton Pine's own, written to grace her debut tour to that distant corner of our Polynesian triangle. The national anthem, when finally sounded, unfolds with due ceremony, set off by giddy pyrotechnics the artist dispatches with a mostly straight face. Her credentials seem very much in order for the main event, Paganini's encyclopedic 24 Caprices, which run in the vicinity of an hour a half. Catch as catch can! By request of our friend, the Maui composer, teacher, and new media whiz Peter Swanzy, on his birthday, we next dropped in his beloved "Troika" from Prokofiev's Lt. Kijé Suite, in a classic performance by the Cleveland Orchestra under George Szell (CBS MYK 38527). On to the "Clash of the Titans" Scherzo from the Symphony No. 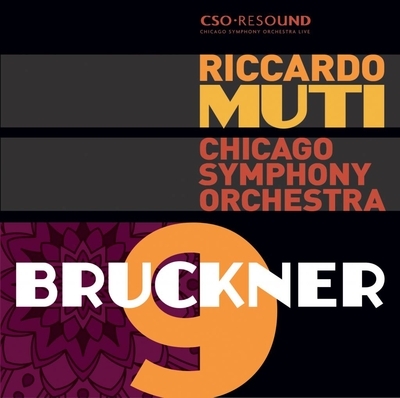 9 of Anton Bruckner, in a live recording by the Chicago Symphony Orchestra led by Riccardo Muti (CSO Resound, CSOR 901 1701). Could the performance be improved upon? It's hard for me to see how. This is music that barrels forward like a runaway locomotive, yet not without shivers of instrumental caprice and eddies of rhythm that even listeners tolerably familiar with the material may never have quite registered before. For the sake of impact, a maestro may be willing to smudge this or that local detail. Muti, however, brooks no compromise. The monumental pattern, the minute particulars... they're all there. Hang on to your hat. 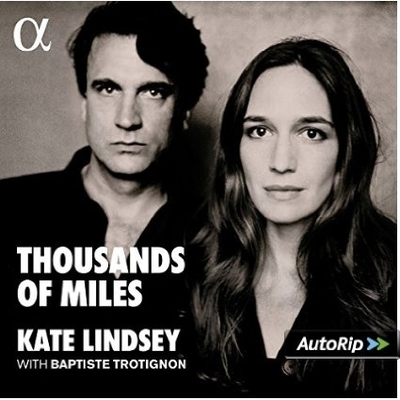 With a few unanticipated minutes to spare, we cracked open Thousands of Miles, from Kate Lindsey and Baptiste Trotignon (Alpha 272). She's American, a rising opera star. He's French, a fixture on the jazz scene. Together, they set out to trace Kurt Weill's arc from phosphorescent Berlin to Paris in Hitler's crosshairs and on to safe haven in America. That dystopian anthem "Wie man sich bettet, so liegt man" ("As you make your bed you must lie there"), from The Rise and Fall of the City of Mahagonny finds Lindsey in blistering form. Vocally she transitions seamlessly from a baritone that is polished yet tough as boots to the fine-spun caramel mezzo-soprano she deploys in a signature role like Nicklausse, in Tales of Hoffmann, and back again. Somehow, between the defiant, battle-scarred punch of the stanza and the disillusioned lilt of the refrain, stray embers of unspoiled innocence shine through. On the preliminary evidence, Thousands of Miles looks to be a catch indeed. Be it noted that Weill is not Lindsey's exclusive order of business. She punctuates the program with a handful of exceedingly obscure album pages by Alexander von Zemlinksy, Alma Mahler, and the child prodigy Erich W. Korngold—contemporaries of Weill's that incestuous alternate universe of Vienna. The thinking behind these juxtapositions is far from self-explanatory. At a guess, a close look at the tangled chronology would that this or that Viennese addendum predates items on the Weill playlist by as much as a half-century. As for style, is there a point of contact? Zemlinsky et al. cultivated a mandarin romantic aesthetic fast approaching its last gasp. Whereas Weill tapped into the electricity of his moment. He sang from the heart of the gathering whirlwind. No wonder his was a voice heard around the world, while theirs went nowhere. Valiant efforts to rehabilitate them in our time have yet to turn the tide. In the Third Reich, of course, decadent Jews, whatever their origins, writing music of whatever variety, were fit only for the death camps. God knows how many perished there. Count all those remembered here among the lucky handful who found refuge in America, flourished there or not, and then died, thousands of miles from home. How spooky yet how moving to meet their ghosts this way, strange bedfellows, indeed. There's is a divinity that shapes our ends.